Day 3! Today’s Moorea Seal products give back to the environment. 7% of proceeds go to Semilla Nueva, which means New Seed in Spanish. Those 4 years of high school Spanish finally pay off. New Seed’s mission is to develop locally-led farmer education programs that rebuild the soils and improve food security and income for Guatemala’s rural poor. They plan to do this by harnessing the power of sustainable agriculture technologies, organizing communities, and engaging with local government. In the future Semilla Nueva hopes the increased incomes and environmental protection will go hand. 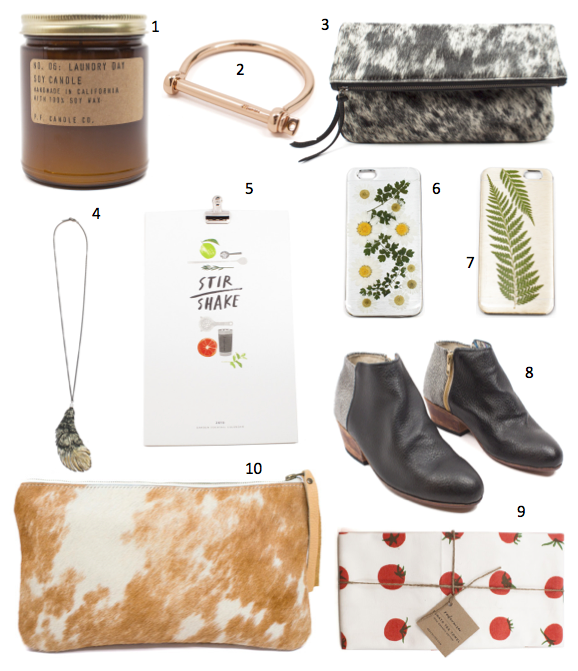 Check out my top gift picks from Moorea Seal’s Protecting Our Planet section below. Categories: Uncategorized | Tags: Booties, bracelet, Candles, Clutch, Environment, fashion, Give Back, Go Green, iPhone 6, Jewelry, Life, Lifestyle, Moorea Seal, necklace, Phone Case, shoes, Socially Conscious, Style | Permalink.